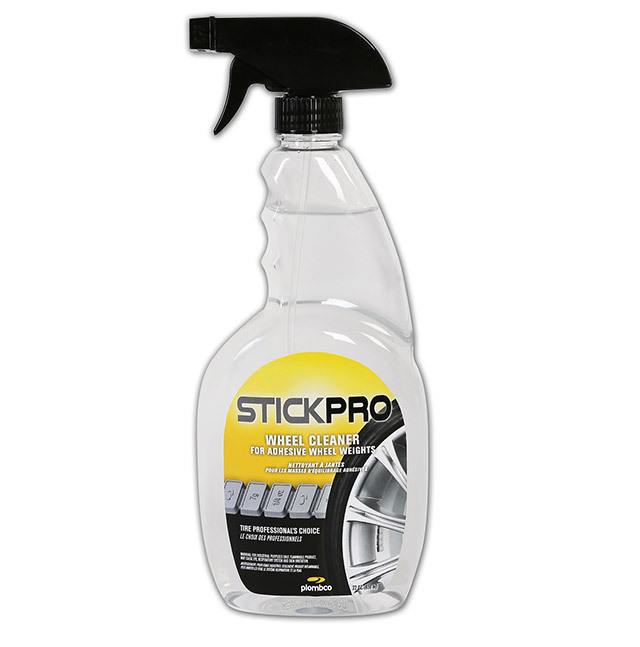 StickPro wheel cleaner allows you to quickly clean wheels, wipe-off brake dust, eliminate grease stains and improves adhesive wheel weights adherence. No water and rinse required. It is suitable for alloy, steel, aluminum, chrome or varnished, wheels and for plastic wheel covers, when used as directed.